Not sure if anyone else has tried the Thalmic Labs Myo but it is an interesting device that combines an accelerometer and myoelectric impulse recognition to allow you to use simple gestures to control things. It looks like their new device will be more precise and hopefully this time they will include a small screen of some sort. I always felt that the original Myo would have been better if it had at least a small LCD that could display messages from the device it was paired to. I really feel like devices like this are a perfect complement to things like Cardboard and the Gear VR. 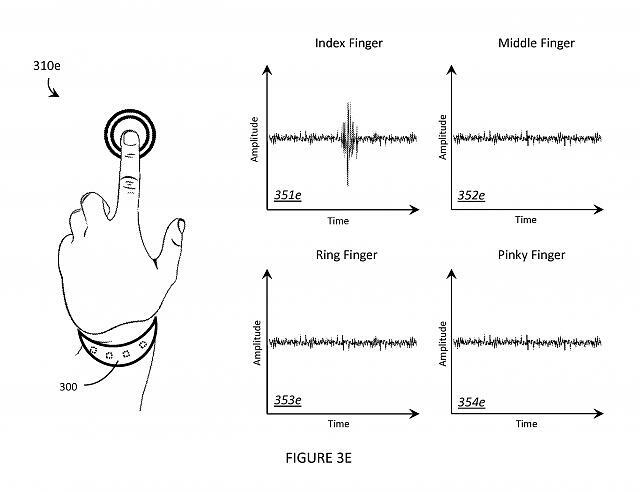 So what I understand about it is that this device works as a glove but instead of measuring the movements directly from the fingers it does it by measuring the electric activities of the muscles in the arm who are responsible of the movements of the fingers, am I right? If that, simply awesome and truly clever. Didn't Alex Kinsella of BlackBerry fame (I met him at a couple CrackBerry events and at CES) work for Thalmic Labs? I think I remember him talking about this project on twitter! I didn't know that! I just looked it up and sure enough, he did join them. Where did you get it mate? I was lucky and met up with the developers at the Game Developers Conference in San Francisco a couple years ago. I got in their developer program. And I think if it's cheap enough to catch some public the initial problems of inaccuracy won't be a problem at all, just to more or less control something with a bracelet is wonderful. OMG this is the coolest thing ever! Is it dangerous to the arm muscles? How is this possible? This is more compact than enveloping glove. and prolly more comfy too. Definitely will be used in the future for VR gaming! I've used the current-gen MYO and the original dev version and both were quite comfortable. Basically they sense the electrical impulses in your muscles using electromyography. An array of sensors detects the impulses your brain sends to the muscles. They could malke it WAY more accurate by adding needles to the inside that penetrated your muscles, but I'm betting that wouldn't test too well with focus groups. Well isn't this straight out of a sci-fi book? I really want this kind of tech to become mainstream. I mean, in theory you could have different similar bands around both hands and upper arms, and have the data work to model your arms in a VR scene. Well I was thinking with a bit of calibration it will be a truly next gen of wearables controllers, but I was also thinking, because the electrical behave of the skin changes during the day for several factors, it may requires calibration very often, so if it mixed with some sensors in the palm and maybe nails it should be something, like a mixture of the Finch (Check the thread) so the calibration may go instantaneously and by the device itself. If this device can measure pulse from brain to arm muscles, can it one day read the brain itself? So just place a device around our head and it will detect all signals! In this we don't need to don VR glove, VR shoes, VR outfits. Just 1 on our head. I just recently saw the video bellow and remembered about this device, it was presented is I think in CES 2015, but so far there is not any hype on it anymore. Anyone knows why is still at $200 and about the new device? Actually just a big socket on the back of our head that a jack plugs into while we're flying around in a rogue ship trying to evade robotic squid-looking things. And we will all be wearing either long leather jackets or ripped waffle-pattern shirts. Wow, "Real" VR that looks, sounds, and feels completely real may not be far away... Them add smell too? Heat/cold sensation? It looks like a pretty cool concept, but I am skeptical of how accurate it is in detecting movement. VR requires extremely precise controls to keep immersion, but I doubt that this device will be able to keep up with the demands.